You want to see real deflecting? Also your posts is the only deflecting here because you have no facts, you have YET TO REPLY AND EXPLAIN trumps high turn over rate in his staff. Yo do not know what is goingo n, you are only here trying to look cool from stating "alt theories"
YOU get "f*cking real " get a clue. Yeah, I saw real deflecting in your post. And no I do not have to explain anything, and your newspaper only shows those arrested, charged or being charged and their testimonies, it doesn't however mean they were telling the truth or whether they were doing it for political favours. And no I'm not here to look cool. Please you get a clue first, and you've yet to get real. I will just let the mods chime in here cuz its it quite clear you are here only to provoke reaction from ignoring the facts. You have been awfully unpleasant with me and not giving me any respect. I am not here to provoke, I'm only here to discuss, it is not my fault you came in here and took an argument out of context. Also you haven't provided anything like facts either apart from a news article. And please, if you want respect, show some as well, it is a 2 way street. I did not take anything out of context, you said the hole thing is a hoax, getting people charge is a hoax, telling me to "Get f*cking real. " because you are stating crazy tin foil hat nonsense, is not showing me respect, showing me a facepalm picture because you do NOT EVEN LIVE HERE is not respect. So you made it quite clear mods need to step in and show you that you are out of line. You are not here to discuss when you refuse to comment on situations that goes against your narrative. Maybe being indictment and charged here is not the same severity as it is in your country, i do not know. But for some reason you are not understanding the situation, then lash out on people that show you reasons why you are wrong. You are not here to discusss when you refuse to comment on situations that goes against your narrative. Please point to where I said people getting charged was a hoax? When I say Hoax I'm referring to the entire investigation. And I told you that when you decided to completely sideline my comment, after I said that I did read what you wrote, and I'm certainly not wearing any tin foil hat. The facepalm in itself was due to you taking my comment out of context, which doesn't, insidently, show me respect either, and no I think you completely misunderstand why the facepalm pic was used in the first place. And I'm certainly not any more out of line than you are. No, I am here to discuss, and I certainly haven't refused to comment on situations that go against my narrative, again I do not have to explain why Trump fired or laid people off. Please point to where I said people getting charged was a hoax? When I say Hoax I'm referring to the entire investigation. Part of the investigation is having those people charged!!!!!!!!!!!!!!!!!!!!!!!! maybe the issue is not me the reader but you explaining things. So stop being rude to people that can't understand what you saying when you don't even know what your saying. Pot calling the kettle black. So nice to see you telling people to stop being rude while being rude all at the same time. Do you really need me to point out where in your comment was coming off as being rude? Because I can do so for your convenience. I'm always willing to agree to disagree, do not worry. Seriously though, I've skipped through most of the topic, reading only the last two pages, but here in Belgium a lot of people aren't very happy about Trump. All of them are wondering what the heck he is doing. I mean, what's the point in building that wall next to Mexico's border? Not the official reason(s) mind you, because you always have to look underneath the underneath with those. Wouldn't doing something like that damage the relationship with Mexico? Again, I admit here and now that I'm only following American politics when it is mentioned in the news and even then, politics don't interest me much. But perhaps that makes me a good objective person to ask an opinion off? I found Obama FAR more sympathetic than Trump is right now. I've asked a few people and it's about accepted opinion that Trump cheated to his presidency somehow. I have no idea how that would work, but Trump has done a lot of public relation damage to the average jane and john doe here. I don't see how Trump would have or could have cheated during the elections in America, granted some are digital polling stations and they can, and I think a few times they have been rigged. 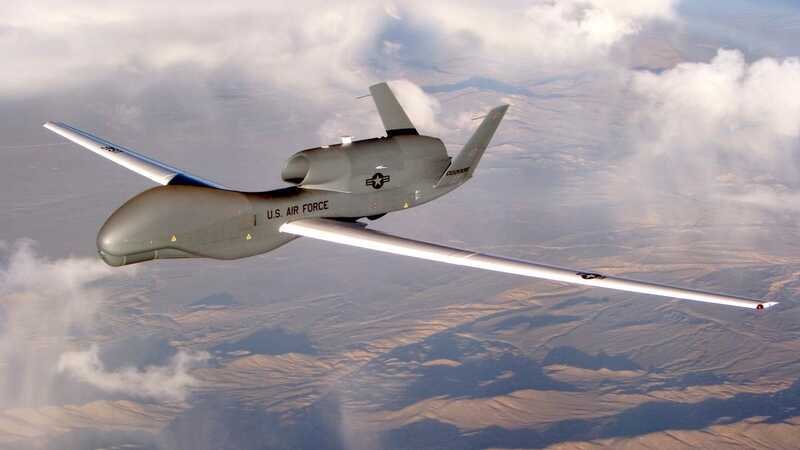 And I can understand why Trump would want a wall, of course it is unrealistic, and probably cheaper in the long run to provide more funding to the border patrols with access to UAV's like the RQ-4 Global Hawk. A lot of people have no clue what he is doing. One side you have people look what he is trying to do, see it as nonsense and try use logic in telling him why it is a bad idea/waste of reseourses, like this wall. People have been known to get drugs here by legal ports being smuggled in really carefully as objects like embedded in car gas tanks, power transformers and on. You have boats that are almost like a submarine, planes, normal boats, tunnels that this wall is not going to impact at all and makes no comments on it when he shouts cult sayings like "build a wall, crime will fall"
You have a group of people that oppose everything he does because he has a R next to his name. then you have another set of people that agree with everything he does because there is a R next to his name. Well, people don't really say how or anything. But suggestions are people being bribed, blackmailed or things just plain being replaced. I mean, I realize that shows like cis, ncis and csi cyber (amongst others) have to be taken with a TON of salt, but csi cyber and 'scorpion' shows just how much is possible to do with digital hacking. Again, I am fully aware that things are most likely being over-exaggerated and all that, but the point remains that Trump has done a lot of damage to the reputation of america in general. At least, that's my opinion on the matter. Considering the scale the operation would need to be, it would be infeasible to cheat in this manner. But it wouldn't need to be done for every state right? It wouldn't even need to be consistent, like replacing every vote machine. Just doing something when Trump was threatening to lose? I mean, I have no idea how it would work or how hard it would be, but I'm certain you recognize that 'money talks' and trump was by no means poor even before the elections. I think that would make the most sense. Just plain ol' bribery. that's correct, only like 4-7 matte (changes a bit by year) again go look up "hanging chad" with bush with all the BS getting him into office.